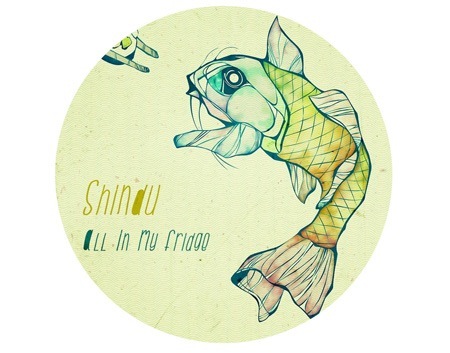 After the sweeping success of their debut release with Kitsuné “Happy House”, a refreshing cover of Siouxsie and the Banshees’ 1980 classic song, Belgian synthpop sensation Shindu return with a new slice of dancefloor-friendly electro for your enjoyment. “All In My Fridge” will be released on January 20th via German dance label Kiez Beats and the EP will include no less than six remixes by the likes of Cosmonauts, Softwar, Pharao Black Magic, Sovnger, Kreap and Stubbs. To tease you just a little, the Belgian trio has put up Pharao Black Magic’s on their SoundCloud. Good news is you can download it for free.. Get it while you can! As a bonus, you can stream stream a nice laid back remix of “Happy House” by London-based dance duo JBAG just below!